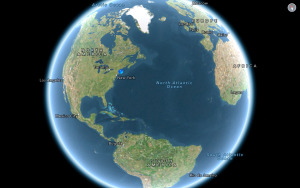 There’s been a lot of talk lately about how Google Now is Android’s secret weapon in the mobile platform wars with iOS. If Siri is a digital “assistant”—taking your instructions, sending messages, and updating your calendar—Google Now is more of a concierge, reminding you of that next appointment, checking the weather for you, and generally anticipating your needs. No good idea remains unexploited for long, though, and this week brought forth Osito, a free “predictive intelligence” iPhone app that offers many of the most prominent features of Google Now. 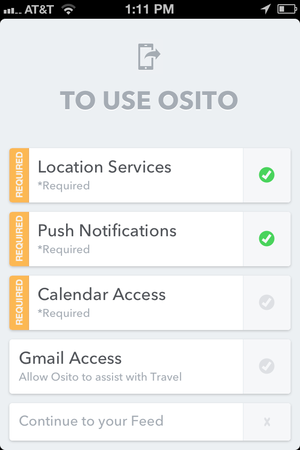 Osito wants to tie deeply into your phone’s services. 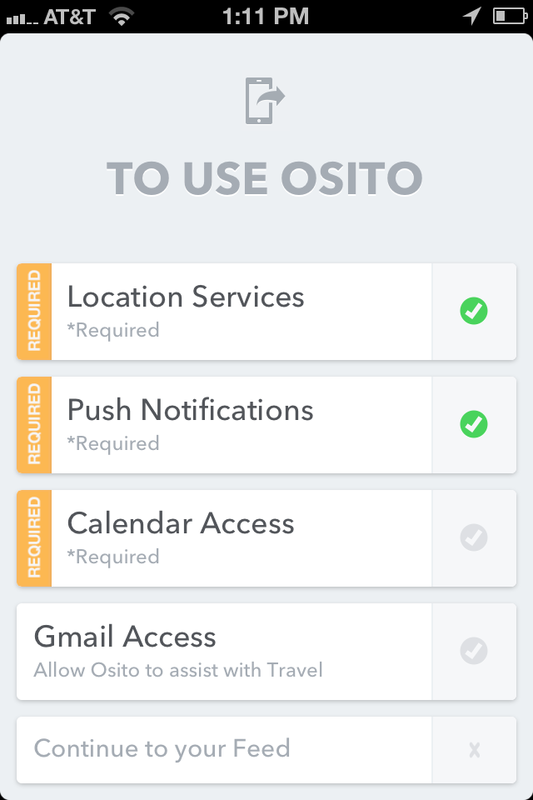 After you’re tied into the app, Osito offers a number of services: It looks at your schedule, where your next meeting is at, and where you’re located, then gives you a nudge when it’s time to get on the road to arrive on time at that event. 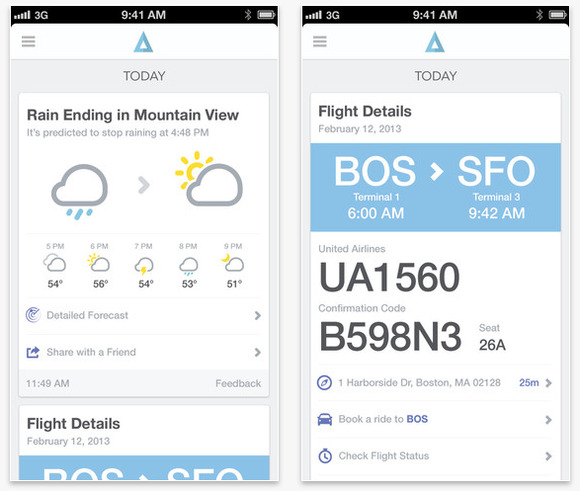 If the weather is going to be wet, windy, or in any way unusual during that trip, the app alerts you to that, too. Similarly, if there’s a traffic jam on your route, the app will let you know—offering you new directions and the opportunity to alert any contacts at your destination that you might be late. The app includes features for frequent travelers, as well, with the ability to check your flight status and book taxis to the airport, directly from Osito. If you’ve made a hotel reservation, the app will alert you twice—once the day before check-in, and a second time as the user nears the hotel location. When you’re done with a notification, just swipe to the right and it will be archived. 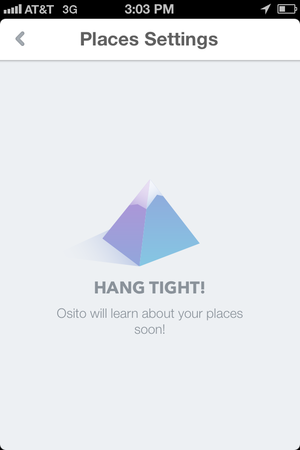 And, if that’s not enough, the developers say they plan to add even more features to Osito in the near future. Don’t expect quick results: A user’s profile takes about a day to build. All of this means, of course, that there are a lot of moving parts to the app: You can’t just fire it up and expect it to start guiding you through your life. 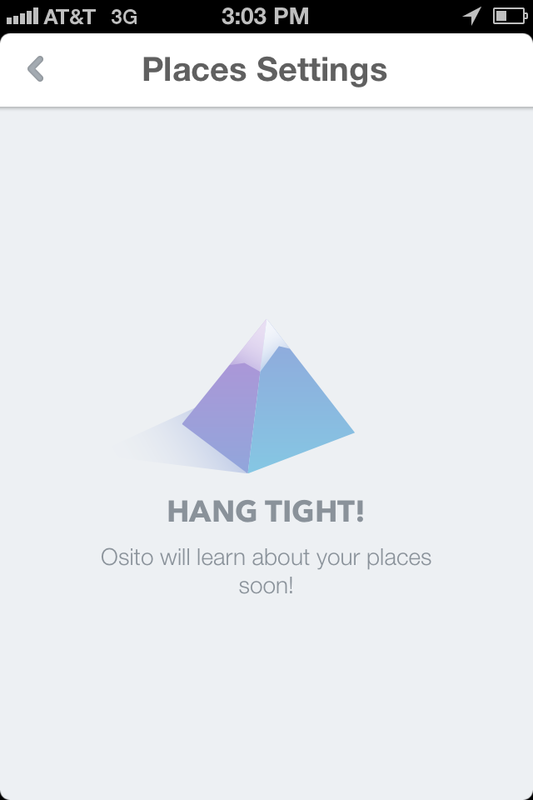 Osito’s developers say that it takes the app about a day to build your profile before it can be expected to function properly. Even then, the developers admit that the initial notifications can often come too early or too late to be truly helpful to a user, but they also add that such problems fix themselves over time. That’s because the app tracks your actual movements and refines your profile to figure out how long it typically takes you to arrive at certain locations. One warning: You’ll have to be somewhat specific in your own planning in order to make the app work properly. If you schedule a “Meeting with Jim” in your calendar, for example, you might not ever receive an alert. Instead, you have to name a location—probably by its address, though Osito says that using a place name (“Sprout Café,” for example) will often do the trick—in order to ensure you receive timely, useful alerts. As you may have guessed, Osito’s functions seems oriented mostly toward commuters and executives who spend a lot of time on the go. If your schedule or routine is fairly clutter-free, or if you stick close to home in most of your daily doings, Osito won’t offer you much you can’t already gain from a quick look at the iPhone’s native Calendar and Weather apps. And certainly, its list of features isn’t quite as lengthy as what’s offered by Google Now. For many iPhone users, though, Osito might prove the best defense—for now—against the temptation to go buy a Galaxy phone.